As we all know last night Sony rolled a lot many firmwares for it’s beloved Xperia Z Series phones. 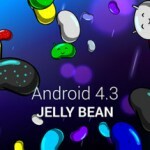 Xperia Z, ZL and ZR were updated on same Android 4.2.2 10.3.1.A.0.244 firmware with same kernel version and baseband. The most serious concern for the update was that, Sony has patched the perf_event exploit which was used to root the devices. But not issues. 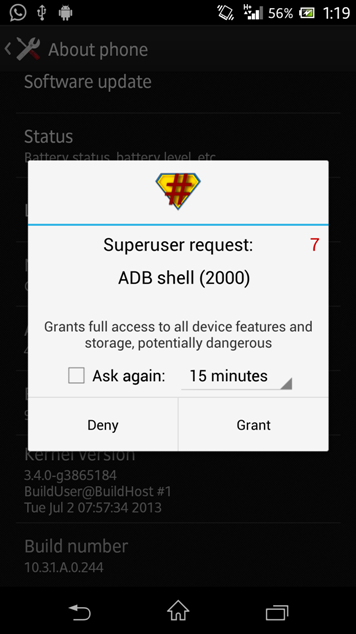 Legendary XDA Developer has found a solution to Root Xperia Z, ZL, ZR Android 4.2.2 10.3.1.A.0.244 firmware by his new DooMLoRD Easy Rooting Toolkit v18. 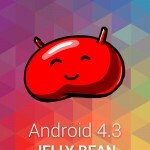 Xperia Z / ZL Android 4.2.2 10.3.1.A.0.244 firmware update Rolled Out – Install it. 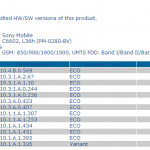 Xperia ZR C5503 / C5502 Android 4.2.2 10.3.1.A.0.244 firmware update Rolled Out – Install it. Below method and files for downloading only works for Xperia Z C6602 / C6603 Android 4.2.2 10.3.1.A.0.244 firmware. Do not test it on other phone / firmware variants strictly. After downloading above files, perform the given below steps. Now you need to flash “XperiaZ_C660X_KernelOnly_10.3.1.A.0.244_BE.ftf” file in order to get back the true kernel of Android 4.2.2 10.3.1.A.0.244 firmware of Xperia Z. After flashing, disconnect the phone from PC, reboot it and your Xperia Z is now rooted and we are done with Root Xperia Z Android 4.2.2 10.3.1.A.0.244 firmware steps. 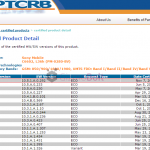 How to Root Xperia ZL and Xperia ZR Android 4.2.2 10.3.1.A.0.244 firmware ? In order to root your Xperia ZL and Xperia ZR on the same firmware by DooMLoRD Easy Rooting Toolkit v18, you need to perform the same above 8 steps as mentioned. But the files for the kernel would be different for both phones. Do not flash the kernel of Xperia Z Strictly. Get the kernel files of old rootable and new firmware for Xperia ZL and ZR separately and then you can root your device using above steps. 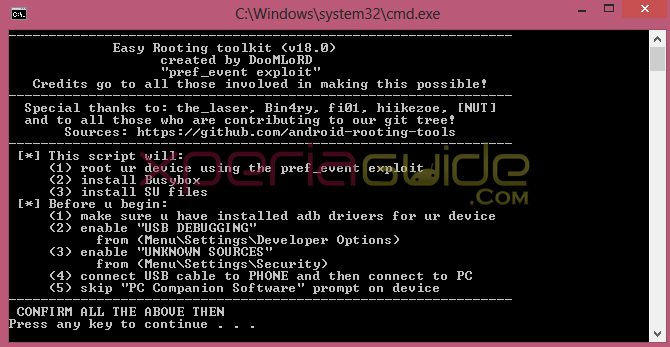 So finally the root is also achieved on Xperia Z, ZL, ZR Android 4.2.2 10.3.1.A.0.244 firmware by DooMLoRD Easy Rooting Toolkit v18. Do let us know in comments if you find any issues in rooting your device. We will help you out. 87 Comments so far. Feel free to join this conversation. then my phone reboot accordingly and resumed normal. do you have XZ C6603 ? or you flashed the kernel of C6603 on C6602 ? It worked for me on C6602. When I flashed XperiaZ_C660X_KernelOnly_10.3.1.A.0.244_BE.ftf, I got an error. I closed the flashtools and I reopened it with “run as administrator” option in Windows 7 and everything was perfect. 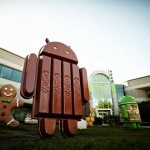 I was on IOS and now I am a very new user of android, but it was easy to root my phone, although I was a bit… scared. No data was lost, and my Xperia Z is running perfectly. Thank you. great that you rooted it…now install CWM recovery and enjoy the mods. please check it is already written in post how to root XZL. What abt zr?? how to root zr? can i use same steps as for zl?? How cant I get Xperia ZL C6502 kernal?.. Owh.man..so confuse..sorry asked to much QUESTION..CANT U MAKE STEP BYE STEP TUTORIAL. Before this im so confuse how to download and flash the kernal..
and i found this at XDA Developer.. Thanks for posting it 🙂 but our original tutorial was even from XDA member DooMLoRD, so it is the same procedure if you have got kernels for your phone. Will you please share us the Kernels which you used for rooting your phone ? it will help other uses, we will update in post..
For some reason, the PC companion software won’t go any further when following the 5-step instructions for the update. I get stuck at step 2 named “prepare”. Did any go through the same problem? Is there another way of flashing the .244 firmware with flashtool instead? I managed to switch to a different USB port and began to work. Thanks anyway. Hey, does this work for Sony Xperia Tablet Z on the same firmware? Thanks! see new kernel you can extract from your new firmware and previous rooted firmware, do you ftf of it ? No it doesn’t work on it. my xperia zl can’t start after flash….why????? which files you flashed ??? above files are only and only for Xperia Z, it is written. We put warning above that files are only for Xperia Z, why did you flash them…it was written that for ZL and ZR on should flash their respective kernels. okay…how to into recovery mode??? only solution left is either you update your phone via SUS again or flash the ftf of ZL again. Download Sony Update Service Software and then install it. Run it. Now connect USB to PC and now press Volume down button, hold it don’t loose it and then insert usb cable into phone > as soon as phone is detected by SUS, it will update it. Above link has step by step guide to flash ftf file ( we posted for XSL) same steps are for XZL. I have done what you teach, but still can not be..any suggestion? what’s error you getting ? See you need to get in flash mode, install drivers again, you have not option left instead of getting in flash mode. when i press volume down and insert cable phone,my phone still can’t start flash mode…. take new kernel from your present XZR firmware and old from your previous firmware…you need to extract them from the ftf files. I am just wondering if this will delete all my settings/apps/texts, etc.. And if so, how and where do i do the backup? I downloaded the C5503_10.3.1.A.0.244_NCB_2.ftf it’s about 700mb which file(s) do I have to extract from it? I think kernel.sin and loader.sin, True? So after that I have to move them again with META-INF folder to a ftf again? And could you Help me where can I download the previous kernel.sin and loader.sin? worked on my t-mobile Xperia Z. So easy. for those who have suffered from bricking their phones and are unable to boot after flashing the wrong kernal. I personally bricked my phone by flashing zl kernal instead of z. i tried to turn it on… the only response was vibration. I aslso tried flashmode.. no luck. it is not detected by pc either by volume up or down or both. anyways after many tries, i managed to revive it, here’s what i did. 1- got to support zone in sony pc companion, hit update. 2- hit repair my phone/tablet. 3- when it is done preparing and downloading, choose your device from the list. 4- when it asks to press volume down and plug in usb (we already know it doesn’t work) plug in ur dead phone via usb and hold down both volume buttons and power button until it gets dedicted by sony pc companion. the phone will update normally and will boot up. hey dude anurag; why can u put the step-by-step method of rooting xperia zl like you did for xperia z and paste the links for the kernel files instead of creating the confusion? It is clearly written that method for rooting xz xzl xzr is same , only each need different kernels… Where is the confusion huh ??? since doomlord didn’t mention the details of kernals, you should have found the kernels and put the link here. its just to ensure that your tutorial should be one stop shop for xperia z/zl users and they shouldn’t go through xda again to find info. How to get the two kernel files for ZR? it works fine for the first time; however when trying with volume up or down keys removing the usb cable next time while rebooting, nothing happens. hey don’t know why are you facing this error. I have used this recovery – https://www.gizmobolt.com/2013/06/30/how-to-install-cwm-recovery-v6-0-3-0-xperia-s-sl-jelly-bean-on-locked-bootloader/ on my XZ and ZL. Try this one and report back. thanks anurag!!! this helped a lot.. i was able to go to cwm recovery with the link above… much appreciate your help!!! I think to up the ante, sony should start selling phones with customized hardware and software with root access as default(customer should be able to give his requirement).they can charge users for software they want to use and provide the support . they should start building loyalty by providing exchange offers on existing sony phones for new models. HI Anurag, have u checked the existenz rom v3 with honami apps yet? can tell if its safe/fine to flash ? It is 100% safe, am using same rom on my xz. Great it is. V3.1 is a great improvement over v1. UI is fully changed, white UI, new UI in every stock app, new Z1 camera. It’s great ROM. If you are flashing it, don’t forget to flash RILJ wakelock add one. Just one question. If i flash using flashtool. It is possible that all my data will be wipe? TQ. there is an option, wipe data, cache, log please uncheck it. it’s recommended you wipe data though, make a backup via PCC. 2. since i don’t have external card, i have cwm installed in internal storage; so during the Wipe Data, Cache and Dalvik Cache,if something goes wrong during installation, can i still go back to cwm recovery through the volume key and restore the backup? Install cwm recovery the link i gave to you. Now copy the honami rom zip on your internal memory. wipe cache , dalvik , and data only if you want. Install rom zip in recovery. Install rilj add on to avoid call wakelock . i’m not able to get the rilj wakelock add on.. do u have the link for it? also can u just give me a brief how it helps? I have been searching all over to understand. Check all ads on on the first page given….Then spot a word RILJ there, that add on you have to flash. So to avoid this call wakelock issue, we flash back the XZ/ZL call features. I have taken the backup of the current rom using cwm, however i want to copy the image files to laptop so that i can free some space. however I’m not able to find the files under sdcard/clockworkmod/backup when plugged to laptop and checking manually. also unable to find it under root explorer.however i’m able to find them under restore option from cwm recovery. can u help me with copying those files to laptop? You can restore your present ROM via PC companion again and back up via PCC and backup all apks via avg antivirus. While flashing ROM, do flash RILJ add on, 48 dpi add on, remove chinese keyboard and handwriting apk to remove bugs from keyboard…will stick a post on this rom, many people are asking about it. i think i’m facing issues with RILJ as well. 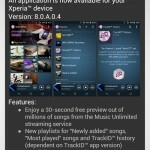 only find track id, file commander,walkman, album installed in applications. i was able to flash back the .244 ftf for my xperia zl and all is good now. hey tell me are you getting some kind of strange sound noise distortion in the earphones while using it on a call…I am getting this nosiem even got in V1 also….on stock i don’t get it. ? I didnt try to call as i felt that it was a mess and realized that the rom is not working; I didn’t check for any thing working since it showed no other applications except the walkman, album, converter, file commander etc. hence i reverted back to the stock ftf. in flashtool …which drivers what should I select or install for XZL c6502??? Could you help me find kernel file for Xperial ZL 6506? You only list for 6502 and this doesn’t work for 6506. Thx. can i use instead of 16???? please help me….. I have found the xda developer forum just for xperia zl users from basics to advance troubleshooting to installing custom roms..
could you help me how to extract the .amz data for asphalt 7 using glzip? I’m using xzl and don’t have external card installed. any solution or suggestion you could find for the above problem?